A significant majority of Australia’s industrial and logistics occupiers have admitted to having a generally optimistic outlook regarding their the future and expect their businesses to be better off financially in the next year. 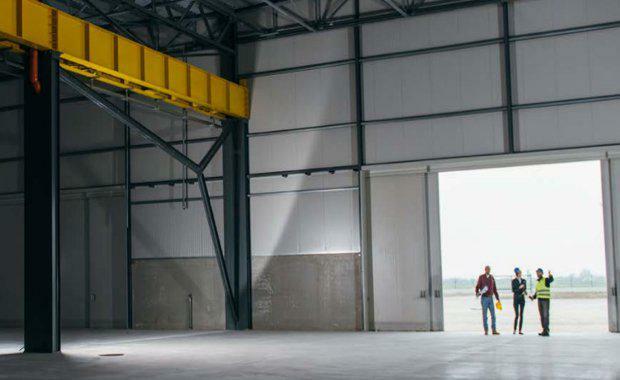 This insight was flagged as the key take-away from the Australian Industrial and Logistics Occupier Survey, conducted by CBRE to gain a better understanding of decision-making drivers, occupier strategies and how changes in technology and automation are impacting real estate requirements. CBRE senior research manager and report author Kate Bailey said the results reflected an engaged and optimistic industrial and logistics market, with 66 per cent of respondents expecting their business to be better off financially and 25 per cent expecting things to stay the same over the next 12 months. “Surveys of this kind have rarely been undertaken in the Australian industrial and logistics market, meaning there has been limited benchmarking of what drives occupiers’ decision making,” Bailey said. Approximately 50 per cent of occupiers said that, should they relocate, they would be looking to continue operating in a similar sized facility. Manufacturers were the most likely to want a smaller occupancy, with 21 per cent preferring a smaller footprint. This was possibly reflective, Bailey said, of the shift towards high-tech manufacturing, which was less floorspace intensive. CBRE's Matt Haddon said the survey had also highlighted key trends and attitudes in relation to sustainability, e-commerce new development practices such as multi-storey warehousing, and the drivers behind occupiers’ site selection criteria. Owners were significantly more satisfied with sustainable practices in their assets, with 21 per cent reporting a satisfaction level of at least nine out of 10 while those who leased their buildings had poor levels of satisfaction with zero reporting a satisfaction level of nine, or more, out of 10. “It is likely that the drive to incorporate sustainable design elements in industrial and logistics assets will continue to be led by the owner-occupier sector, with this group most likely to amortise initial expenses such as solar panels and wind turbines and see the flow on benefits from sustainable demand first hand,” Haddon said. When it came to e-commerce, 42 per cent of respondents indicated they had seen no change from the growth of e-commerce in the past five years. The survey also found that while there was a high level of awareness from respondents (90 per cent), only 25 per cent of respondents would consider multi-storey warehousing. Haddon said a range of opportunities existed for landlords to improve tenant attraction and retention, including improving basic amenity around common and green spaces, access to food vendors and proximity to public transport.